Then and now - we still deliver excellence. Thirty-six years ago, Milwaukee Valve made headlines because of our superior quality products and service. 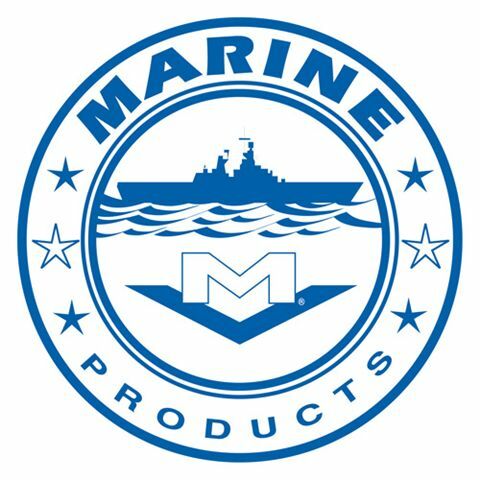 We were recognized by the Small Business Administration for the quality of our marine products. What’s changed since then? Nothing. Unlike some of our competitors along the way, we’re still here and still delivering the precision valves and ongoing customer support that have won the loyalty of contractors, engineers and distributors alike. 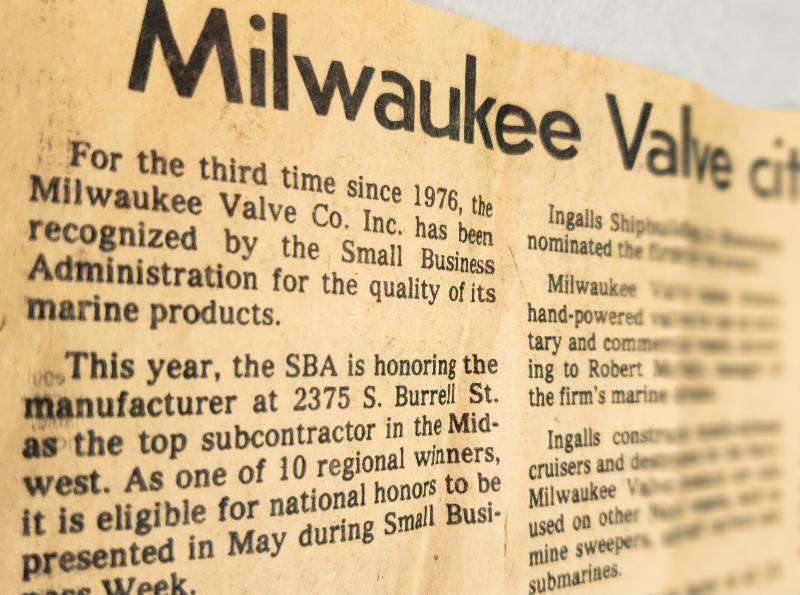 Back in 1982, Milwaukee Valve had already been serving the marine industry for 18 years. We manufactured bronze manual valves for commercial and military vessels, including aircraft carriers, submarines, missile defense cruisers, minesweepers and destroyers for the U.S. Navy. Over the past 54 years, we have become a major presence in every shipyard in the country. Our military contracts have helped us maintain the highest possible quality standards in valve design and production. That’s because the U.S. Navy requires it for all the valves they buy. And we’re subject to their stringent inspections that monitor quality control in our plants. Having raised the bar so high, it’s only natural that we took this refined product development model and applied it to our commercial and industrial valve lines too. We incorporate strict quality control in all production in our factories in Wisconsin, our wholly-owned operations and with our supplier partners in the U.S. and around the world. Since Milwaukee Valve’s start in 1901 as a small manufacturer of plumbing and heating valves, our production and workforce have remained strong­— through wars and a wide variety of economic conditions. That says something about the quality of our products and how we do business. 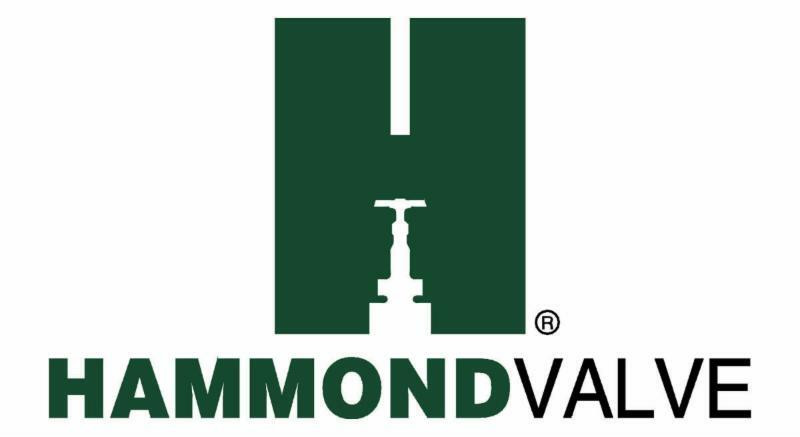 Our continuously expanding product range has now grown to more than 8,000 valve styles and sizes, from 1/8” bronze globe valves for residential plumbing and heating to 48” stainless steel high-performance butterfly valves for stadiums, hi-tech data centers and other applications. But all these years of growth and success haven’t changed us. 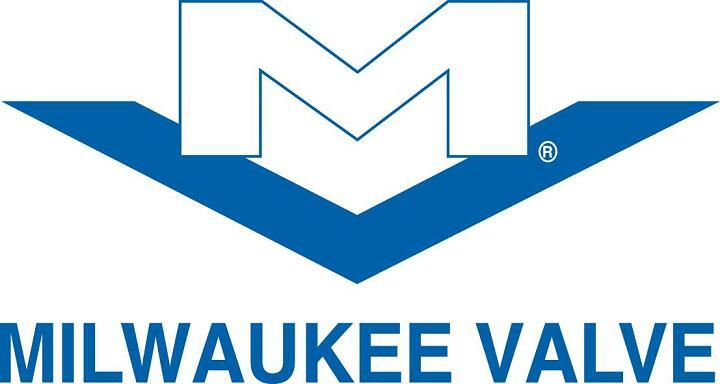 Milwaukee Valve still practices the values that have always made us the trusted industry leader in valve design, production and technical support.